Alfred Blalock (April 5, 1899 – September 15, 1964) was a 20th-century American surgeon most noted for his research on the medical condition of shock as well as Tetralogy of Fallot— commonly known as Blue baby syndrome. He developed the Blalock-Thomas-Taussig Shunt, a surgical procedure he developed together with surgical technician Vivien Thomas and pediatric cardiologist Helen Taussig to relieve the cyanosis from Tetralogy of Fallot. This operation ushered in the modern era of cardiac surgery. Blalock worked at both Vanderbilt University and the Johns Hopkins University, where he studied both as an undergraduate and worked as chief of surgery. He is known as a medical pioneer who won various awards, including Albert Lasker Clinical Medical Research Award. Blalock was also nominated several times for the prestigious Nobel Prize in Medicine. Blalock was born in Culloden, Georgia, the son of Martha "Mattie" (Davis) and George Zadock Blalock, a merchant. At the age of 14, he entered as a senior at Georgia Military College, a preparatory school for the University of Georgia. Shortly after, Blalock attended the University of Georgia as a sophomore undergraduate, skipping his freshman year. While in college, Blalock was heavily involved in the university social life and athletics. He played tennis and golf, was a member of the Delta Chapter of the Sigma Chi fraternity, and was secretary and treasurer of his senior class. After graduating with an A.B. in 1918 at the age of 19, Blalock entered the Johns Hopkins School of Medicine, where he roomed with and began a lifelong friendship with Tinsley Harrison, a student who would go on to specialize in cardiovascular medicine. At Johns Hopkins, his record was not considered "outstanding", given that he graduated near the middle of his class, although he was a member of Alpha Omega Alpha (member 0114794). Nevertheless, Blalock excelled in surgical courses while he was a student at Hopkins, and this made him come to the realization that he wanted to be a surgeon. In medical school, Blalock was known by his friends and classmates as a "ladies man" due to his frequent trips to Goucher College, a women's school located nearby. Blalock earned his medical degree at Johns Hopkins in 1922, hoping to gain appointment to a surgical residency at Johns Hopkins due to his admiration of William S. Halsted. Because of this, Blalock decided to remain in Baltimore for the next three years. However, he was denied a surgical residency with Halsted because of his average academic record. Instead, Blalock decided to complete an internship in urology, in which he performed exceptionally well. He also completed one year of an assistant residency on the general surgical service (his contract was not renewed), and an externship in ENT. In September 1925, Blalock joined Tinsley Harrison at Vanderbilt University in Nashville to complete his residency under Barney Brooks, Vanderbilt University Hospital's first Professor of Surgery and Chief of the Surgical Service. During his Vanderbilt years, Blalock spent much of his time in the surgical research laboratory, which he found both challenging and exciting. While at Vanderbilt, Blalock became interested and began studying the nature and treatment of hemorrhagic and traumatic shock. At Vanderbilt, in the year 1938, Blalock conducted an experiment where the left subclavian artery was connected to the left pulmonary artery. The experiment was meant to induce pulmonary hypertension, but it ended up failing. By conducting his research and mainly experimenting on dogs, Blalock discovered that surgical shock resulted from the loss of blood, which led him to encourage the use of blood plasma or whole blood products to prevent. Blalock's innovative research resulted in the saving of many lives on the battlefield during World War II. Unfortunately, Blalock had frequent bouts of tuberculosis, which developed during his later years at Vanderbilt. 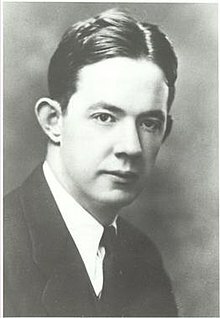 While working in Vanderbilt in 1930, Blalock became increasingly busy and had several obligations that kept him from spending much time in the laboratory. Because of this, Blalock began searching for a new lab assistant that he would be able to count on to carry out all of his experiments. He ended up hiring Vivien Thomas, a young African-American carpenter, as his lab technician. Although Blalock hired Thomas as a lab technician, he was officially titled a janitor. From Blalock’s perspective, Thomas quickly learned how to perform surgical procedures, carry out experiments, and record data for Blalock's research. As they got to know each other, Blalock granted Thomas increased independence in the laboratory, something that was very uncommon, especially for an African American, at that time. Blalock and Thomas carried out various experiments relating to shock and cardiac output, as well as developed a technique for adrenal transplantation. Together, they developed innovative, unheard of techniques such as the transplantation of the kidney to the neck in order to remove the kidney’s nerve supply and study the effect on “Goldblatt hypertension”. Blalock and Thomas built a strong, though unequal, relationship over the years, somewhat marred toward the end by Blalock's unwillingness to give Thomas full credit for his contribution to their collaboration. In 1941 Alfred Blalock was asked to return to the Johns Hopkins hospital to work as chief of surgery, professor, and director of the department of surgery of the medical school. When Blalock was offered this position, he immediately requested that his assistant Vivien Thomas come with him. While working together at Hopkins, Blalock and Thomas developed a shunt technique to bypass coarctation of the aorta. Simultaneously, Helen Taussig, a cardiologist, presented to Blalock the problem of the blue baby syndrome - a congenital heart defect known as Tetralogy of Fallot which results in inadequate oxygenation of the blood. In 1944 Blalock, with Thomas by his side, performed the first "blue baby" operation on Eileen Saxon, a 15-month-old baby. The operation was successful, although the baby died a few months later. After the innovative first completion of the surgery, Blalock became comfortable with the procedure and performed it on thousands of children, often with Thomas by his side. The new operation not only directly saved thousands of lives, it marked the start of the modern era of cardiac surgery, as it was the first successful surgery on the human heart of the modern medical era. By the 1950s, Blalock had performed over 1,000 surgeries to correct congenital heart defects. In teaching and in research Alfred Blalock paved the way for a new generation of surgeons. Students of Blalock appreciated his unique ability to bring out the best of them. As chief of surgery at Hopkins, Blalock trained 38 chief residents, as well as 9 chairmen of departments, 10 division chiefs, and many others. Many of Blalock's students went on to become cardiovascular surgeons themselves and rose to high levels of importance in the surgical world. His colleague and lifelong friend, Tinsley Harrison spoke about Blalock's ability to teach saying, "A teacher is an individual who has the capacity to influence the horizons of his pupils. Al has had that capacity all of his life." In 1955, Blalock became chairman of the Medical Board of The Johns Hopkins Hospital and held that position until his retirement in 1964. Upon retirement, Blalock held the title of professor and surgeon-in-chief emeritus. Alfred Blalock retired from Hopkins in 1964 due to health problems. His retirement was just two and a half months before his death. Blalock married Mary Chambers O'Bryan in October 1930. The two had met while Dr. Blalock was at Vanderbilt and she worked for the Vanderbilt admissions office. Together they had three children: William Rice Blalock, Mary Elizabeth Blalock and Alfred Dandy Blalock. Together, they lived a happy marriage for 28 years until her death in 1958. A year later, he married Alice Waters, who was a close neighbor that Blalock had known for many years. Dr. Blalock is known for having an appreciation of sports and the outdoors. He enjoyed playing tennis, golfing, fishing, and boating. In Blalock's later years he developed several health problems and eventually died in 1964 from metastatic urothelial carcinoma of the ureter. In 1955, Alfred Blalock was elected as Chairman of the Medical Board of The Johns Hopkins Hospital. When he retired in 1964, he was named a Professor Emeritus of Surgery, as well as a Surgeon-in-Chief Emeritus for the Johns Hopkins School of Medicine and The Johns Hopkins Hospital. Blalock published more than 200 articles along with a book titled Principles of Surgery, Shock and Other Problems. He also delivered more than 40 honorary lectures, and was awarded honorary degrees from nine universities. Blalock also belonged to 43 medical societies in the United States and other countries. These included the American Philosophical Society, the National Academy of Sciences and Royal Society of Medicine. In 1954 Blalock received (with Robert Gross and Helen Taussig) the Albert Lasker Clinical Medical Research Award "For distinguished contributions to cardiovascular surgery and knowledge." Blalock also received the Chevalier de la Légion d'honneur, the Passano Award, the Matas Award, and the Henry Jacob Bigelow medal. The Alfred Blalock Clinical Sciences Building at Hopkins Hospital was named after him. Alfred Blalock was also honored with the Baltimore "Man of the Year" award in 1948. In 2003, the PBS series American Experience premiered the Spark Media documentary "Partners of the Heart", which was about the collaboration between Blalock and Vivien Thomas at Vanderbilt and Johns Hopkins University. The documentary was directed by Andrea Kalin and written by Kalin and Lou Potter, with re-creations directed by Bill Duke and narration by Morgan Freeman. The "Partners of the Heart" went on to win the Organization of American Historians' Erik Barnouw Award for Best History Documentary in 2004. In the 2004 HBO film Something the Lord Made about the Blalock-Thomas collaboration, Blalock was portrayed by Alan Rickman and Thomas by Mos Def. Robert Cort produced the film, which went on to win three Emmy Awards for Outstanding Cinematography for a Miniseries or Movie, Outstanding Single-Camera Picture Editing for a Miniseries, Movie or a Special and Outstanding Made for Television Movie. ^ a b c McCabe, Katie (August 1989). "Like Something the Lord Made". The Washingtonian. Retrieved 8 November 2014. ^ a b c Timmermans, Stefan (April 2003). "A Black Technician and Blue Babies". Social Studies of Science. 33 (2): 197–229. doi:10.1177/03063127030332014. PMID 13678058. ^ Hansson N, Schlich T. Why Did Alfred Blalock and Helen Taussig Not Receive the Nobel Prize? J Card Surg 2015;30(6):506-509. ^ a b c d e f g h i j k Beaty, Claude A.; George, Timothy J.; Conte, John V. (February 2012). "Centennial Presidential Perspective: Dr. Alfred Blalock". The Journal of Thoracic and Cardiovascular Surgery. 143 (2): 260–263. doi:10.1016/j.jtcvs.2011.10.071. ISSN 0022-5223. PMC 4128896. PMID 22248679. ^ a b c "Alfred Blalock. Surgeon, Educator, and Pioneer in Shock and Cardiac Researc...: EBSCOhost". ehis.ebscohost.com. Retrieved 2015-04-16. ^ "Surgeon, Alfred Blalock". www.medicalarchives.jhmi.edu. Retrieved 2017-02-28. ^ a b "Surgeon, Alfred Blalock". Medical Archives of the Johns Hopkins Medical Institutions. Retrieved 2015-04-09. ^ "American Experience | Partners of the Heart | Legacy". www.pbs.org. Retrieved 2015-04-09. ^ a b c Strayhorn, D. (1965). "Alfred Blalock". Transactions of the American Clinical and Climatological Association. 76: xliv–xlvi. PMC 2279465. ^ Hatcher CR: Aflred Blalock. Clin Cardiol 1986; 9: 172-175. ^ Petrella F, Solli P, Borri A, Spaggiari L.Modified Blalock clamp: a single-hand autostatic device for pulmonary vessel occlusion during lung cancer resection.Interact Cardiovasc Thorac Surg. 2012 Mar;14(3):237-8. doi:10.1093/icvts/ivr122. Epub 2011 Dec 22. Beaty CA, George TJ, Conte JV (2012). "Historical perspectives of The American Association for Thoracic Surgery: Alfred Blalock (1899-1964)". J. Thorac. Cardiovasc. Surg. 143 (2): 260–3. doi:10.1016/j.jtcvs.2011.10.071. PMC 4128896. PMID 22248679.